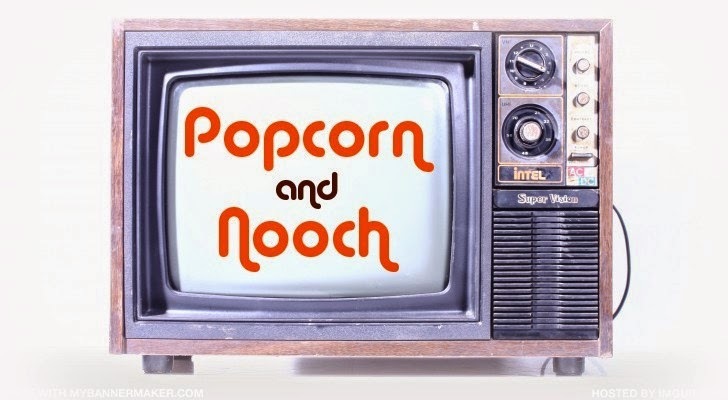 Popcorn and Nooch: (Vegan MoFo) Shaun of the Dead - "Limbs N' Chips" *and a giveaway! 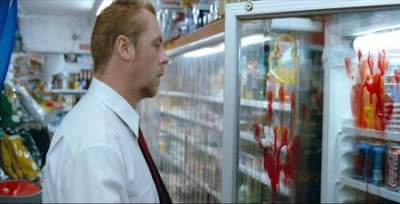 (Vegan MoFo) Shaun of the Dead - "Limbs N' Chips" *and a giveaway! It's midway through the month and you might be needing a little break from all of the scary movies. Well, I recommend my favorite horror comedy to keep you in the holiday season but give you a break from the nightmares. This has been described as a romantic comedy zombie movie. If that isn't charming enough for you, it's from England, so everyone has British Accents! Can't go wrong. I'm also doing a giveaway! The prize is the dvd of Shaun of the Dead! Details at the end of the post. Peel the outer tan parts of the parsnips off and discard. Continue to peel away until you hit the hard center. Take your inner peels and pulse in the food processor until you get flakes the size shown in the picture. Toss with a light coating of veganaise and a pinch of salt. Wrap parsnip shreds in a sheet of nori, coat with batter (recipe follows) and place into a pot of 375 degree oil of 1 to 1 and 1/2 inches. Fry until golden brown all around. Cut firm tofu into long rectangles, soak in soy sauce for a few minutes, wrap the tofu in a sheet of nori, coat with batter (recipe follows) place into a pot of 375 degree oil of 1 to 1 and 1/2 inches. Fry until golden brown all around. 1 12 oz bottle of vegan beer. Blue Moon is vegan! Beer first, then stir in the flour, salt and garlic powder. heavy dose of fresh cracked pepper. 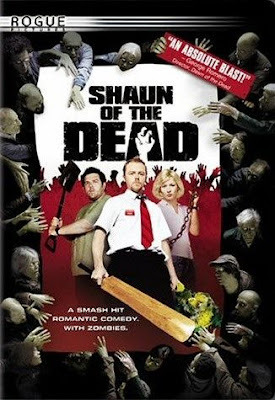 If you would like to participate in my giveaway with a chance to win the Shaun of the Dead dvd, just tell me what your favorite Halloween (or fall) season movie is in the comment section below. Entries can go on until I wake up Monday morning. No right answer, winner will be chosen at random! Oh man those look delicious. Er, I mean scary! I've bookmarked this and added your blog to my RSS reader. Glad to be in touch! I finally saw Shaun of the Dead a few months ago and could not stop laughing (and wondering why it took me so long to see it). 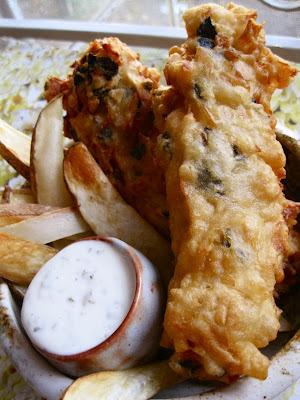 The beer-battered "limbs" are so creative and sound delicious! I've never had shredded parsnips, nor have I tried to fry them, so I'm very intrigued. The recipe looks fabulous, but I have one question .. in the limbs section, it says to use nori seaweed and parsnips, but I didn't see what to do with the seaweed. Does it get pulsed in the food processor with the parsnips to make the "shredded flesh" ? I notice it mentions you can wrap a stick of tofu in nori seaweed, as an alternative to parsnips, in the next section, but I'm still a bit confused ... did I miss something? Thanks because I'd like to make this! Thanks for the blog ... I have read all of your October entries so far ... keep 'em coming! P.S. So far my favorite scary movie is CHILDREN OF THE CORN. Rachel, for the nori in the parsnips, rip the nori into little pieces and then stir it in with the already pulsed parsnips. For the tofu alternative, cut out a long rectangular stick and wrap it with a sheet of nori. Although I didn't try this, after I made this I thought I could have just taken the pulsed parsnips and wrapped them in a sheet of nori instead, this way I would've had an actual stick to dip in the batter. So, that's another option. I hope this explained it :/ let me know if you have any more questions and thanks for reading my blog! 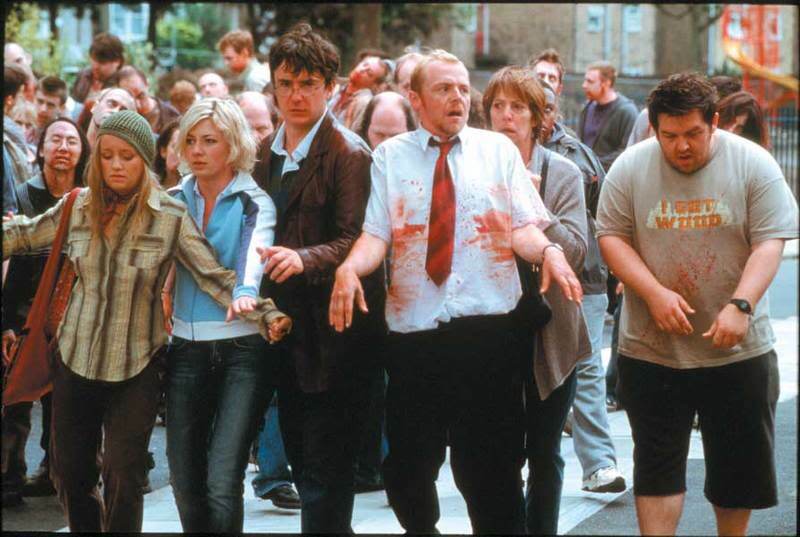 I love Shaun of The Dead! Seriously, one of my favourite movies! I won;t water because I already own the movie but your menu looks awesome & I definitely need to make 'fish' & chips next time I watch it!